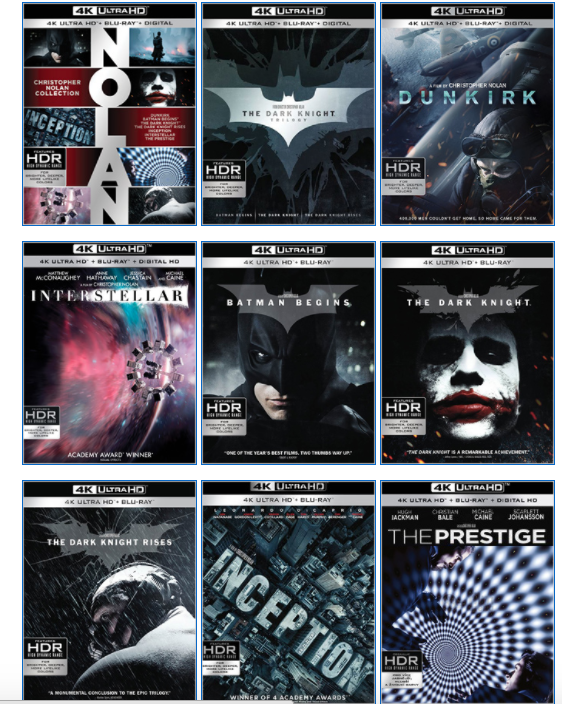 The individual titles from Warner Bros. will feature the films on 4K Ultra HD with the feature films in 4K with HDR, Blu-ray™ discs of the films in hi-definition, a bonus Blu-ray Disc with behind-the-scenes content and special features, and a Digital copy of the films. 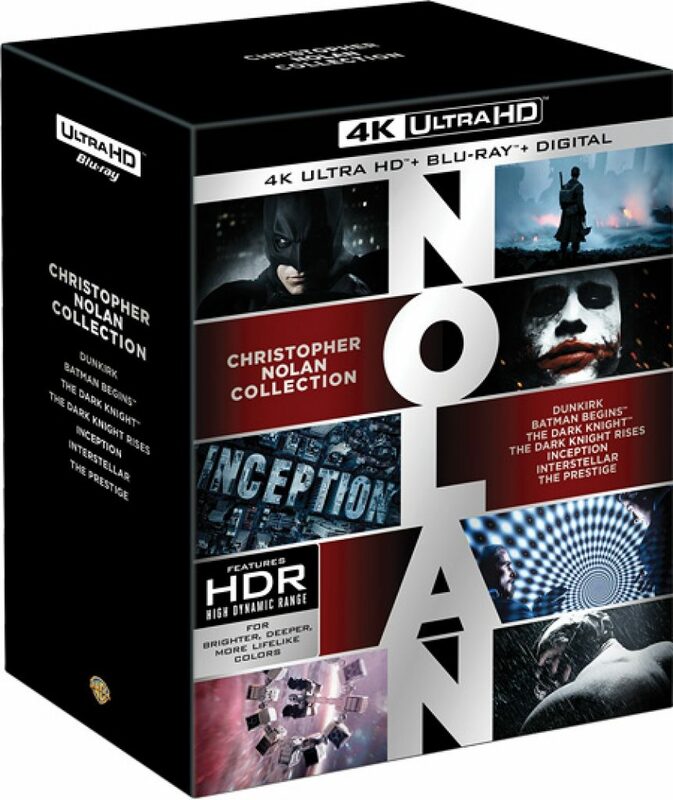 Nolan’s awe-inspiring masterpiece “Interstellar” will be released on 4K Ultra HD in a 3-disc Combo Pack that includes the film on 4K UHD and in high definition on Blu-ray, as well as a bonus Blu-ray Disc™ with three hours of in-depth, behind-the-scenes content detailing the epic shoot, the scientific realities explored in the film, a look at creating the stunning visuals, and much more. 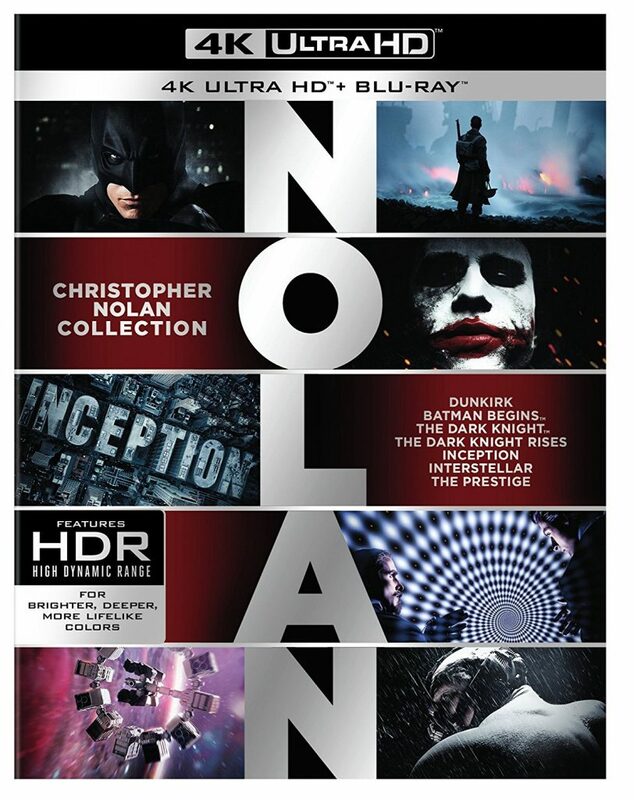 “The Prestige” will be releasing as a 4K Ultra HD Combo Pack (4K UHD + Blu-ray + Digital Copy) that includes the insightful The Director’s Notebook: The Cinematic Sleight of Hand of Christopher Nolan, a multi-part behind-the scenes look at all aspects of the creation of the film, and The Art of the Prestige interactive gallery. This entry was posted on Tuesday, November 21st, 2017 at 4:43 pm	and is filed under Film, News. You can follow any responses to this entry through the RSS 2.0 feed. You can skip to the end and leave a response. Pinging is currently not allowed. « Mark Millar and Kevin Smith to pen ‘Hit-Girl’ Comic Book Series!